The ketogenic world is a fast paced environment with lots of new keto books and programs being launched all the time. These resources are incredibly helpful when we try to adopt a ketogenic lifestyle and to help us succeed long term with this way of eating. At the same time many keto friendly products are being developed. We started this section on our website to get the best out of all these developments. We publish information about new launches of books, programs and products as and when we become aware of them. Only check out these launches if, like me, you like to know what is new on the market. Don’t let it overwhelm you though. Knowledge is power, but too much information can create confusion. As mentioned before, I'll be doing things a little differently going forward. So expect to see quarterly updates from now on. Let's start the year of with Dr Anthony Gustin's new Keto Kickstart Program, and a book by Dr Zoe Harcombe that focus on how to keep the weight off. This is an amazing new FREE program to get you started on the keto diet or to help you get better results if you've been keto for a while already. Check out our review by clicking on the button or go straight to the sign up page if you'd rather get all the details straight from Dr Gustin. Dr Harcombe has a PHD in public health nutrition and has written a number of books the subject of why we overeat. Read more about here here on her website. While you are there, you may want to check out her articles on low carb eating, statins and fiber. For anybody who is tired of yo-yo dieting and want to lose weight for the last time. From Amazon by clicking on the picture above. October was somewhat quiet and going forward I may start to announce launches every second month or even quarterly. But first with the end of the year and new January launches, we'll have a busy time. This month I found some really interesting stuff and the first is Perfect Keto's new launch. Yeah, they have released their long awaited keto bars. These almond butter brownie bars have 3 grams of net carbs each, 10 grams of protein and 19 grams of fat. They have no added fillers or chemicals. I can tell you what they are all about, but why don't you rather get the information straight from their site? The second is not a new launch or anything like that, but it is an amazing resource if you want to learn more about ketogenic diets and the science of low carb eating. Virta Health held their Inaugural Conference: The Science of Carbohydrate Restriction and Nutritional Ketosis during August at the Ohio State University in Columbus Ohio. They discussed recent progress in the science of low carbohydrate nutrition. They were kind enough to make all the presentations available on their website. This is an absolutely amazing resource and you can watch it all for free here. My last item has nothing to do with keto, but relates to how to get more out of live. Brendon Burchard is a successful entrepreneur and motivational expert. In this planner he combines planning and journaling into one book. The objective is to emulate high performers to strategically increase productivity, set goals and prioritize projects. Anybody who wants to take their lives to a new level in 2019 and like me still use a hard copy diary and journal. In reality this book by Dr Will Cole launched right at the end of August, but I only found it this month, so am adding it in here. Dr Cole is a Functional Medicine Expert. It is not a vegetarian keto book. It is focused on eating more plant based foods, but in a keto way so as to get the benefits of keto whilst also getting the maximum nutrition from plant based sources in addition to animal protein. The book is made up of 8 chapters. It starts out with a discussion of both keto and plant based diets. Then he discusses what he calls "New Keto". He explains his approach, the foods to eat, practical advise like food swaps, eating out and snack ideas after which he guides you into the first steps to get started. Lastly he provides recipes and meal plans. Look at this more like a pescatarian keto diet, with a somewhat higher net carb intake than strict keto diets. August is another quiet month. I trust everybody in the northern hemisphere are enjoying your summer holidays. Aaron from FatForWeightLoss launched his keto cookbook for beginners and Perfect Keto has launched their long awaited single serve packs. Perfect Keto regularly launches new keto friendly products. This month they did not launch a new product as such, but launched single servings of their most popular products like the exogenous ketone base, MCT oil powder and keto collagen. So, if you have been keen to try their products for a while, or if you'd like travel friendly sizes then now is your chance. Aaron is a nutritionist and a very talented cook and photographer. 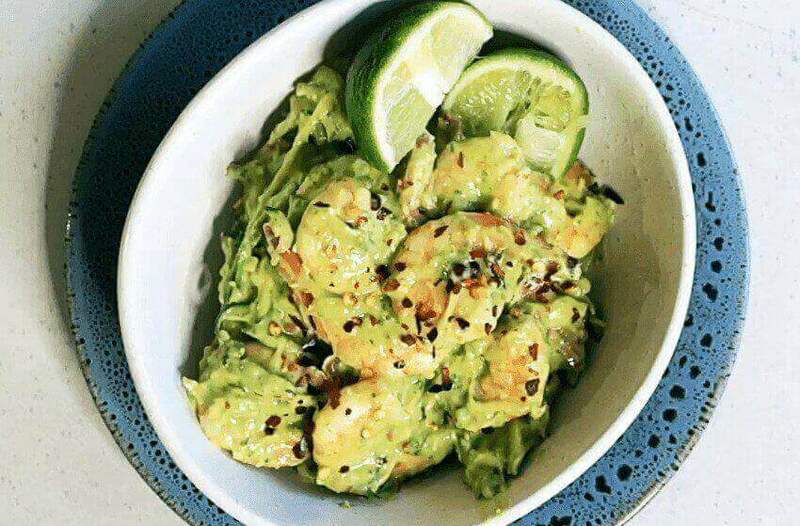 If you've been looking for low carb or keto recipes online for a while you would have found some of his beautiful and delicious dishes online. In this book, he shares 60 easy and delicious recipes that anybody can prepare in 30 minutes or less. He includes recipes for breakfast, lunch, dinner and snacks all made with simple ingredients that you can find at your local grocery store. Another quiet month for new launches. Carolyn Ketchum however did launch her new book - Easy Keto Desserts. This beautiful recipe book has 60 low carb high fat desserts for any occasion. Carolyn talks briefly about her diet and dessert philosophy. She then discusses the keto dessert essentials, ingredients and tools that every keto kitchen needs and explains how to best use the recipes. Candy and confections, cookies, bars, cakes, pies and tarts, frozen desserts and custard, mousse and other delicious dessert. From Amazon. Click on the picture above to check it out. June seems to be a quiet month as far as new book launches go. The full name is - Keto Living Day by Day: An Inspirational Guide to the Ketogenic Diet, with 130 Deceptively Simple Recipes. There are a lengthy introduction (her story) and three parts to this easy to follow book. The first is the introduction where Kristie tells us her story. She starts out with her struggles with her weight going from over weight to morbidly obese back to over weight four times during her adult live. I think many of us can relate to this struggle. Her turning point came on Memorial Day 2013. If you'd like to read her inspiring story of how she ultimately lost more than a 100 pounds with keto, click through to the book above on the picture. If you "Look inside" the book there you can read her story and decide for yourself whether it resonates with you. Part 1 - All About Keto - Explaining the How to, the Food to Eat and the How to do it in the real world. Part 3 - 130 Simple easy to make recipes. There are three interesting launches that caught my eye for May. 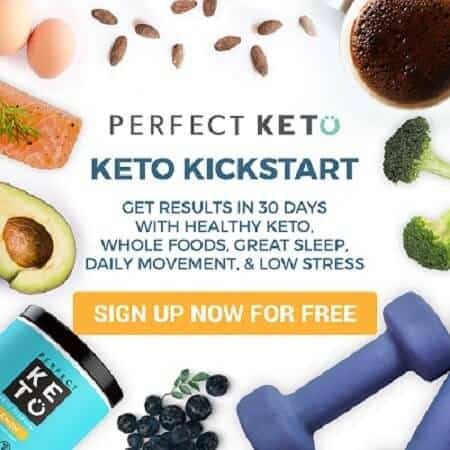 The first is another product launch by Perfect Keto and this launch takes their product range to a whole new level. The second is for an Instant Pot cookbook. I see lots of searches for keto instant pot recipes. So, I think the timing of publishing this book couldn't be better. The third is a a recipe book that aims to show that "Everything can be made Low Carb!" This nootropic supplement is designed to fuel your mind. It is made with exogenous ketones, grass fed collagen peptides, MCT oil powder and brain boosting nutrients like herbs, amino acids and lipids. Personally, I know very little about nootropics, if you'd like to lean more then check out this guide by Perfect Keto. The full name of this book is - The Keto Reset Instant Pot Cookbook: Reboot your metabolism with simple delicious ketogenic diet recipes for your electric pressure cooker. This is for you if you are following a keto diet and want simple and easy to make keto friendly Instant Pot recipes. It has 75 recipes, covering breakfasts, soups, vegetables and side dishes, entrees and desserts. "Everything can be made Keto!" That is the premise of this simple recipe and meal plan book. This book has more than 100 easy keto recipes and 6 keto meal plans, including Megha and Matt's own personal meal plans. Matt and Megha believe that any meal can be converted into a low carb version. They are prolific low carb bloggers. They love to make videos showing how they prepare meals, comparing different products and documenting their own experiments with keto. From Amazon. Click on the picture above to access it. From this month, I am going to change the format a little. 30 Minute Ketogenic Cooking by Kyndra Holley from Peace, Love, and Low Carb. In this book she shares 50 delicious low carb recipes that will save you time and money. The second is the the Beginner's Keto Diet Cookbook by Martina Slajerova from Keto Diet Blog with more than 100 delicious low carb recipes to help you to get into the ketogenic zone. In fact the full name of this book is - The Keto Cure: A Low Carb High Fat Dietary Solution to Heal Your Body and Optimize Your Health. Eating keto is more than just about losing weight. It is about being healthy or where sickness has already set in to use food to heal the body. Dr Nally has used a low carb approach in his practice for more than 15 years now. The objective of the book is to be a how to guide showing how the ketogenic diet can help treat and prevent common ailments. Part 1 - The basics - Explaining why the last 50 years of nutrition was wrong, what ketosis is and a crush course on insulin resistance. Part 2 - The Keto Cure approach to the treatment of disease. This natural nut butter is made with raw macadamia nuts, raw cashew nuts, raw coconut butter, MCT oil, vanilla bean powder and sea salt. Or click on the picture above to get it from Amazon. The launches we showcase this month is a little bit different. The first is launch of Perfect Keto's new product - Vanilla exogenous ketone base. The second is a book by Dr Hyman that is not strictly keto, but a must read if you want a no-nonsense explanation of food. This Vanilla Collagen Powder is the newest addition to the Perfect Keto product range. It is made with 100% grass-fed collagen, MCT oil powder, vanilla flavoring, and stevia leaf. In this book, Dr Hyman takes a closer look at our food and the misinformation that has affected our food decisions. He looks at each food group and tells us exactly how each food support or don't support a healthy body and life. More About Food: What the heck should I eat? There is so much confusing information about what we should and what we shouldn't eat. Part 1 - Ending food confusion, fear and insecurity. Part 2 - What the heck should I eat. In this section he considers each food group. Part 3 - This covers the other things we should know about our food. Part 4 - He covers the Pegan diet. Pegan is a word he has coined, that comes from Vegan and Paleo. He believes the perfect diet is a combination of the two diets. From Amazon, click on the book image above. The authors of The Complete Guide to Success on the Ketogenic Diet proclaim the book to be the definitive resource to the ketogenic lifestyle. In this book Maria and Craig dig deep into the science of keto to explain how many diseases can be managed or controlled with a ketogenic diet. There is a wealth of information in the 12 chapters of this insightful book. If you are worried about cholesterol whilst on the ketogenic diet, then you want to check out what they say about it in chapter 2 of the book. As I write this, you can still read this section of the book on the "look inside" section. From Amazon by clicking on the book image. The One Pot Ketogenic Diet Cookbook shares more than a 100 easy weeknight meals for your skillet, slow cooker and sheet pan. The objective of this recipe book is to make dinner easy. The book is organized in terms of ingredients and include recipes made with eggs, chicken, pork and beef, fish and seafood, vegetarian mains, salads and soups and stews. November seems to be a very busy month in terms of book launches in general. In the Keto world, people are preparing for the holidays and all the launches I found are for recipe books. The Keto Slow Cooker and One-pot Meals Recipe book fills a gap in the market by bringing us this book with simple to make ketogenic slow cooker meals. ​This recipe book features 100 ketogenic meals to help you to maintain your ketogenic lifestyle on busy week nights. ​It includes recipes for filling soups, delicious stews and some quick one pot meals. The Fat or Fuel Cookbook was developed by Dr Mercola with the assistance of Chef Pete Evans as a companion to his best selling book Fat for Fuel. Both Dr Mercola and chef Evans believe that food should be a tool to reshape our health. With this book, they attempt to place those tools into our hands and make it easy for us to change our lives by changing our fuel from sugar to fat. ​Guidance to successfully adopt a ketogenic lifestyle - from stocking up your pantry to stress release, sleep and fitness. ​100 Recipes that support both a ketogenic and Paleo lifestyle. ​The Keto Holiday Cookbook was written by Leanne Vogel specifically to support ketoers through the festive season with delicious recipes and menus for the main holiday events. Leanne Vogel from Healthful Pursuits. ​The objective of this book is to help you get through the holiday season with keto friendly and whole food recipes and menu plans for the special occasions you will host or attend this holiday. 30+ Classic Holiday recipes adapted to be keto friendly. Full ingredient and shopping lists for easy planing and preparation. From their website which you can access from the picture above. ​In the Everyday Ketogenic Kitchen, you'll find more than 150 inspirational LCHF recipes to maximize your life. ​​Carolyn is an amazing cook and has been sharing her recipes with the world since 2010. Her mission is to prove that healthy low carb meals can be as good if not better than traditional less healthy meals. She is achieving this recipe after recipe with delicious low carb and sugar free dishes. From Amazon by clicking on the photo link above. The Low Carb Weekly Meal Plans from TasteAholics is a weekly ​meal plan service with recipes in your inbox every Wednesday. 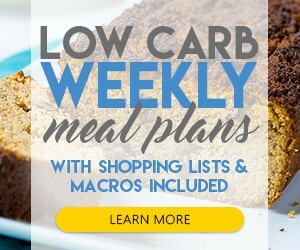 ​Low Carb Weekly Meal Plans is effectively a recipe service. The objective is to take the pain out of coming up with new keto recipes every day. ​Meal plans and recipes for a full week. Complete macro breakdowns of all the recipes. The Keto Reset Diet: Reboot Your Metabolism in 21 Days and Burn Fat Forever is a 21 day keto plan to assist you to move from burning sugar for energy to burning fat. ​​Mark Sisson is best known as the author of bestseller The Primal Blueprint and the well-known website MarksDailyApple.com. Brad Kearns is the president of Primal Blueprint Publishing and a top ranked professional triathlete. ​Part 1 - Building the Metabolic Machinery - The what keto is, why and how it works and the ultimate goal which is metabolic efficiency. ​Part 2 - The Metabolism Reset with an overview of the reset, which foods to eat and which should be ditched. ​​Part 3 - Going Keto with advanced strategies, plans and more than 100 keto friendly recipes. ​This book is highly regarded by many experts in the industry. If you'd like to read what people like Dr David Perlmutter, Melissa Hartwig co-founder of Whole30 and Michael Eades co-author of Protein Power have to say about it click through on the Amazon link below to read their reviews. ​The Keto Breakfast Cookbook shares 60 breakfast recipes, 40 of which are egg free. ​Monya is a chef and runs a culinary consultancy in London and Louise is an advocate for eating nutrient dense food and is also the author of Essential Keto Cookbook and 30 Keto Meals in Under 30 Minutes. ​60 breakfast recipes, 40 being egg free. ​Full nutritional information for each Keto and Paleo compliant recipe. ​It is available in digital and printed format. From Keto Summit, the link is with the picture. ​Dr Colbert's Keto Zone Diet is a guide for anybody who wants to use nutrition to improve their health. ​Dr Colbert has practised medicine for 30 years. He says that 20 years ago he started seeing lots of cancer patients and his desire to find an alternative treatment led him to conference after conference to learn and understand more. His searches ultimately led him to the ketogenic diet. ​Part 1 - What the Keto Zone Diet is. History and science behind it. Part 2 - Why the Keto Zone Diet works. ​​Part 3 - Simple steps to implement - including shopping guides and menu plans. TasteAholics released their long awaited Desserts in Five eCookbook during August. 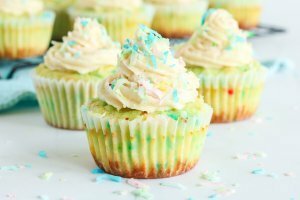 ​Desserts in 5 is a recipe book by TasteAholics with 30 keto dessert recipes all made with 5 ingredients or less and with 5 net carbs or less. This is their fifth book and the fourth in their Keto in Five series. I like their erecipe books, because they are all very focused. Each book has 30 easy to make recipes that is focused on one meal. They are all made with no more than 5 ingredients and with 5 net carbs or less. The dessert recipes are delicious and imaginative. They cover every type of dessert that you may want to make and added a new twist to some old time favorite recipes like panna cotta and creme brulee. I have always been a big fan of their work. To read my review about all four Keto in Five books go here. Then this launch from Meat Free Keto, is the one program you may really want to check out. ​Meat Free Keto is a keto guide for vegans. Elizabeth McDowell from MeatFreeKeto.com, also known as Gamer Girl. ​Liz ​started a vegan ketogenic diet in 2012, but could not find many resources to support her conversion from a high carb vegan diet to a low carb keto vegan diet. ​After years of learning and experimenting, she decided to create the vegan keto guide she wished she had when she changed to a low carb high fat diet. ​Answers commonly asked keto vegan diet questions. A breakdown of the most favorable macro nutrient profile for a vegan. ​Includes a 7 day meal plan with vegan shopping lists and recipes. ​If you live in the USA, you may want to check out Green Chef. They deliver meals all across in the USA and in August launched their keto friendly meal service. ​Green Chef for delivery all across the USA. According to Green Chef, their meals are ketogenic friendly, but not "keto stringent". Each meal has about 30 grams of net carbs. 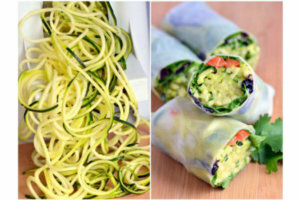 So these meals could work for people who have already achieved their weight loss goals and are trying to maintain a keto fueled lifestyle without worrying too much about exactly what to cook every day. The Ketogenic diet has become really popular. As we all know it is not a new diet, it has been around for many decades. What is new is the way we are thinking about our food and our growing understanding of how our food affect our health. Much research has been done over the last few decades that proof that fat is not the culprit, but our problem is sugar and grains. Many health experts, scientists, and doctors are starting to realize and acknowledge that to be healthy and slim, our first priority needs to be what we eat and are writing about it. There are also many ordinary people who have adopted this way of eating and are spreading the word. As a result of the growing popularity of the fat fueled paradigm, more and more ketogenic books and programs are released. The aim of this page is to announce the launch of any ketogenic book or program as I become aware of the launch. The objective is to announce the launch or pre-launch of these books and programs. I am not necessarily endorsing them and in many instances I will not be able to read or study them prior to the announcement. Provides step by step instructions to make the change from glucose to fat as fuel. Recipe books by well-known keto bloggers, experts or new comers whose books look interesting. ​Programs that can assist us to adopt to or maintain a ketogenic lifestyle. ​Books that improve our knowledge of how our bodies are fueled. If you are aware of a launch or are launching your own book and I have not picked up on it, please let me know, so that I can check it out and add it. For more ketogenic diet recipes and ideas, visit our home page. Or if you have questions about the ketogenic diet, check out our Keto Frequently Asked Questions.